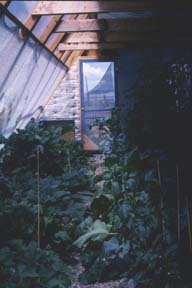 Planting in the passive solar greenhouse is different in several respects from planting outside here in northern New Mexico and many vegetables germinate more quickly and grow faster; I can plant earlier in the spring and later in the fall; harvests are longer; and many vegetables grow larger than their counter parts outside. 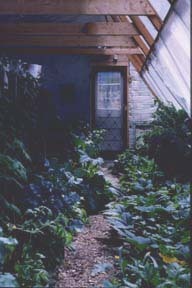 The more difficult it is to garden in your area, the more dramatic will be the difference between vegetables growing inside compared to outside the greenhouse. 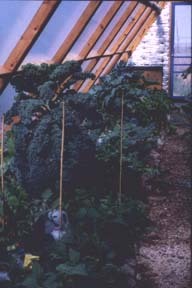 For those of you fortunate enough to garden easily in the summer, the passive solar greenhouse will give you excellent season extension and great winter growing options. If, like me, you live in an arid or semi-arid climate, the increased humidity is nothing short of miraculous. For those of you living in more humid climates (and during the winter months for everyone) adequate spacing and ventilation is important to keep mold from growing. 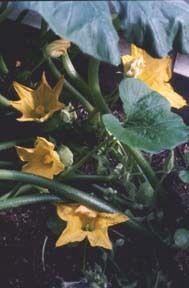 Crop rotation and companion planting keeps the soil and plants healthy. 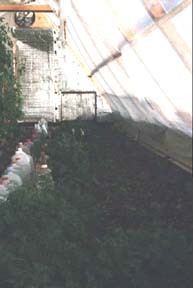 Different parts of the greenhouse are warmer or cooler than other parts, and this also varies with the time of year. 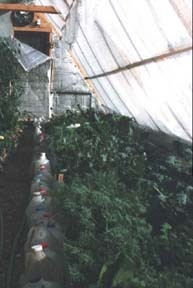 As you experiment over time to see how the greenhouse performs in your locale, you will find that you can grow many different vegetables simultaneously. 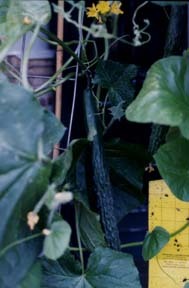 I had two specific goals concerning vegetable growing that were met the first season. 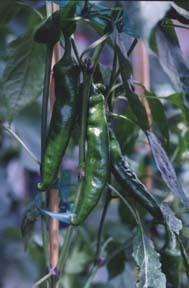 Eggplants and peppers were setting fruit and being harvested into mid-October. 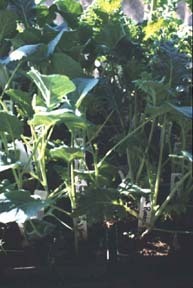 This year, with plants started and transplanted earlier, I hope to see them producing into November. Secondly, I wanted to harvest ripe tomatoes at Thanksgiving. 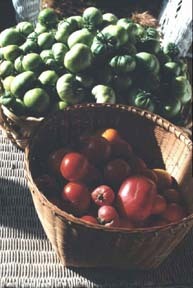 In fact, in December, 48.5 pounds of ripe and green tomatoes were picked from 23 plants. Ripe tomatoes in December (and green ones that ripened over the next month). All the different bed preparations produced delicious vegetables. The beans began producing on September 26, exactly 53 days after planting, and three rows of beans planted six inches apart produced a total of 31 pounds over 41 days. Kale and broccoli start prior to transplanting. The tomatoes were transplanted into the greenhouse July 30-31 (having been started from seed on May 18) and produced over 106 pounds between September 6 and December 13, with yields increasing as the light increased in the rear beds. Newly planted front beds mid-November. 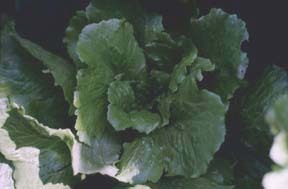 On September 20, spinach, Chinese cabbage, broccoli, and kale were started from seed and transplanted on November 7, primarily into the front beds. 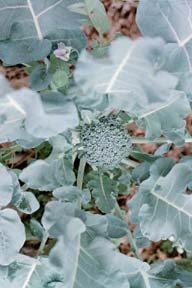 I began picking broccoli on January 15 and continued into early April. 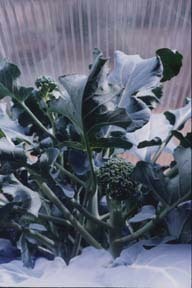 Although the kale wasn�t weighed as it was picked, it produced tremendous amounts on huge plants, several of which were three feet high. 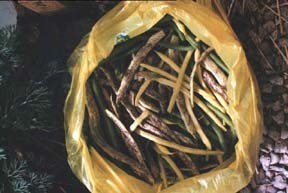 All bush beans 11 lb., 2.5 oz. 11 lb., 5.5 oz. 8 lb., 9 oz. Golden Nugget Tomato 11 lb., 3 oz. 6 lb., 9.5 oz. 8 lb., 5 oz. Siletz Tomato 7 lb., 1.75 oz 9 lb., 12 oz. 4 lb., 4.25 oz. Valencia Tomato 8 lb., 13.5 oz. 11 lb., 13 oz. 7 lb., 15 oz. Total Tomato Yield 34 lb., 4.75 oz. 35 lb., 8.5 oz. 36 lb., 12.5 oz. 28 large side shoots 24 large s. s. 23 large s.s. Some generalizations (without the graphs and figures): the Biodynamic and Control/Middle beds of kale were more robust than the kale in the lighter soil/west bed. The carrots and spinach in the Bio bed did a little better than the other two beds. As for the Azomite vs. Control in all three bed preps: the tomatoes did significantly better in the control beds and the broccoli did significantly better in the azomite beds. In conferring with the folks at Pest Minerals (distributors of azomite) we concluded that broccoli, which likes a higher pH than tomatoes, was better able to utilize the minerals in the azomite rock dust. Ideal pH in general is 6.8, and the trace minerals in soil and soil amendments are more easily available and assimilated by plants growing in a soil pH of 6.5 to 7.5. My soil pH was around 7.7, which is too alkaline. In preparing for the spring planting, I added 2 pounds of sulfur to each of the six sections, as well a more humic acid and compost. A summary of what vegetables I planted when and where and its "season." As this was updated mid-September, October through December is forecast.